Last time I was in Thunder Bay, I was looking for something specific. It was an amethyst so I could make a custom engagement ring. Well, that was last October and I hadn’t been to Thunder Bay since. It seems Ricky’s obsession with pepperoni has got the attention of many Americans. I wrote a blog entry last year called Pepperoni Sticks in Canada. This blog entry will consistently get several hits every single day. I’ve also received emails from people asking where they can get pepperettes. Now I tell my Canadian friends this and their reaction is shock and misbelief. “What!? You can get them at any legion or bar around here.” It seems in Canada that they’re so common that the availability is just taken for granted. Well in the United States, most people think of pepperoni as that greasy meat you put on pizza. Now don’t get me wrong, I love pepperoni pizza. I just wouldn’t eat what’s considered pepperoni in the US in any sort of quantity. I don’t have a wish for heartburn or acid reflux. The easiest way to compare pepperettes is to think of them like beef or snack sticks. At least that’s my frame of reference growing up in Wisconsin. 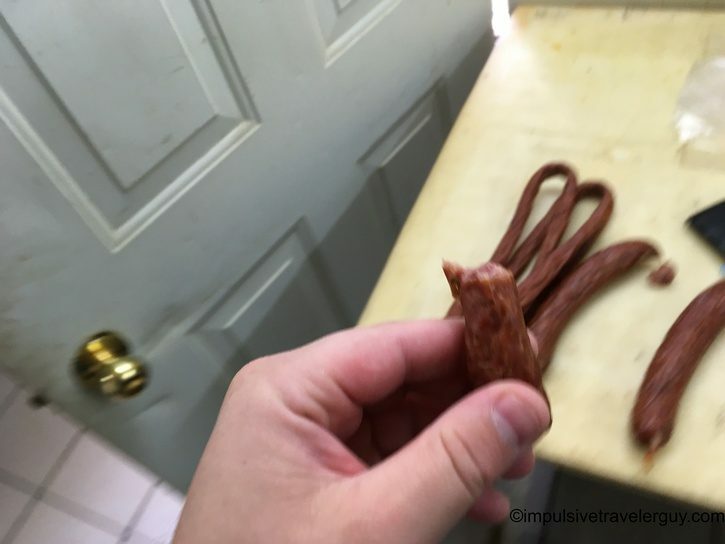 Beef sticks are one of my favorite snacks and I’ve grown very fond of them. Pepperettes keep the same type of consistency as beef sticks. 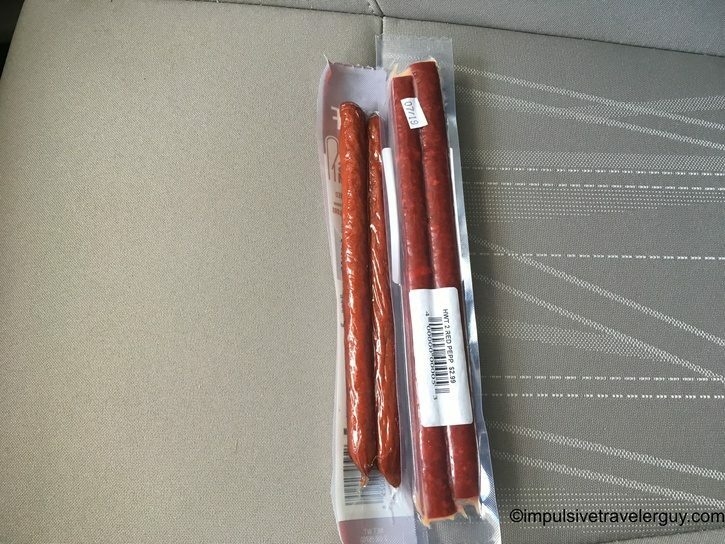 Unlike beef sticks, there’s a hint of pepperoni taste to them. There’s also no grease like regular American pepperoni. 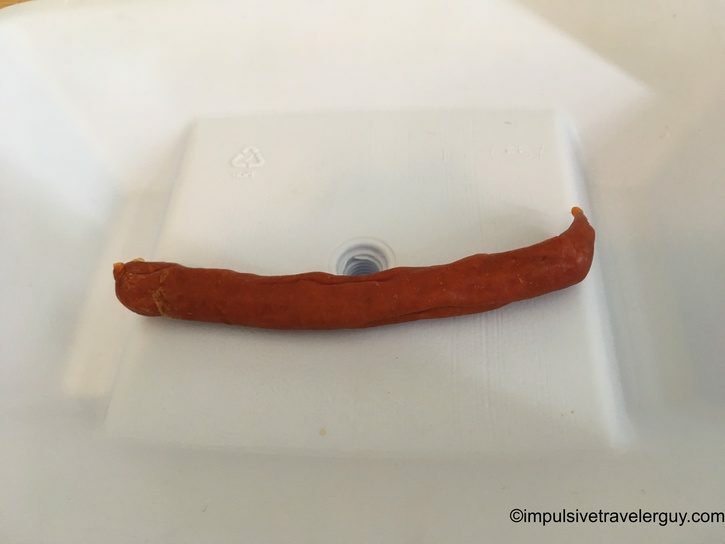 You essentially get a slightly pepperoni flavored beef stick when everything is said and done. Each place adds their own unique touch. 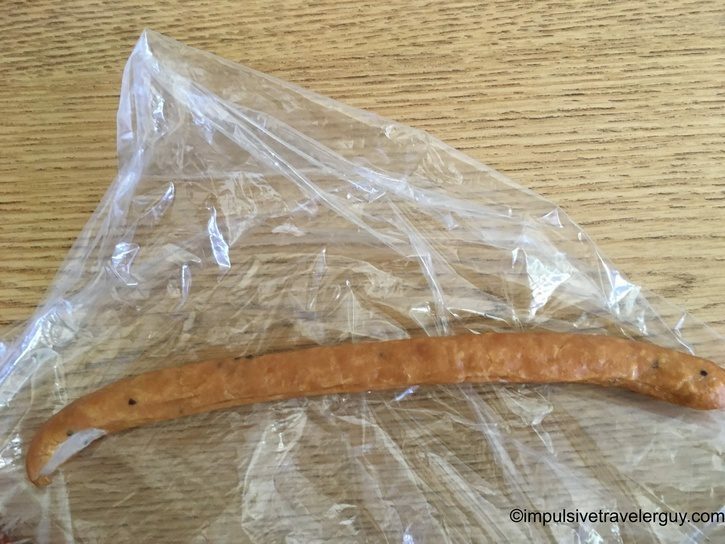 While it’s similar to a beef stick, the taste is a little different, so the two should not be confused. One of the goals of this blog is the build out the Tastes of my Travels page. What is common and taken for granted in one area is often unheard of in another area. I like to travel, discover things, and bring my discoveries to the world. Before I set out on my pepperette seeking mission, I reached out on Facebook. One thing about Thunder Bay is there are some amazing and very active groups dedicated to the area. There are two groups just specializing in local eating and dining. I received a ton of replies to my question for recommendations. 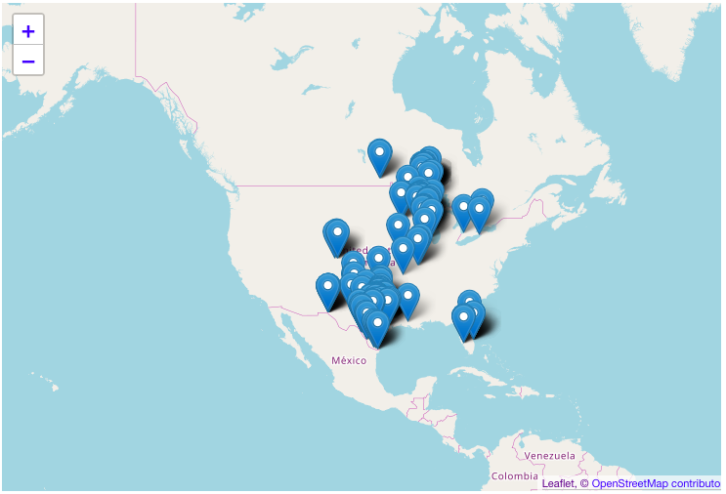 I was able to compile a decent sized list of places to hit up. I thank everyone who gave me recommendations. As I hit up each place, I found something very unique. A poem that I saw in Marina Park was alive and well in Thunder Bay. 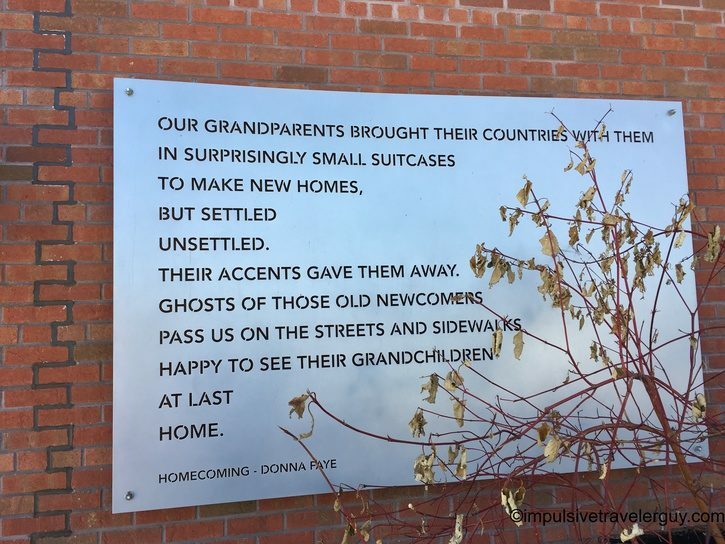 While many of the grandparents and their accents may be gone, their legacy continues. This legacy lives on through the traditions passed down to later generations. Almost every place I went to represented a different European country. Most of the shops were small neighborhood grocery stores like that of yesteryear. In my native Wisconsin, I have listened to the stories of older relatives. There used to be a little grocery store on every corner. With supermarkets, these little mom and pop places were wiped out. In Thunder Bay, there are supermarkets, but these mom and pop places still stand strong. For me, it’s living history and an experience that I only heard about through stories. For people living in Thunder Bay, it’s still a way of life. I personally love seeing these small businesses thrive. They make the local products I look for on my travels and let me see a less generic side of where I travel. My original intention was to buy two pepperettes at each store and then try them all. I know the border restrictions for bringing meat over are strict. I’m usually flagged for secondary questioning anyway. I know I didn’t want a bunch of meat to go to waste if they wouldn’t let me bring it back to the US. I also wanted to make sure my border crossing was as hassle-free as possible. While some places allowed me to pop in and out, others were as curious about my blogging as I was their pepperettes. I got to see some behind the scenes stuff and also try a bunch of things. I was even sent home with a bunch of goodies. To be honest, I literally lived off of pepperettes during my entire stay in Thunder Bay! Now I’m not here to rank the places I visited. I’m not a foodie, and each place made amazing pepperettes! Additionally, each place represented a different country’s way of doing things. It’s hard to compare apples-to-apples with that. It’s like saying is Poland better than Finland or Finland is better than Norway. They’re all good in their own unique way. I highly recommend visiting every single place I visited! 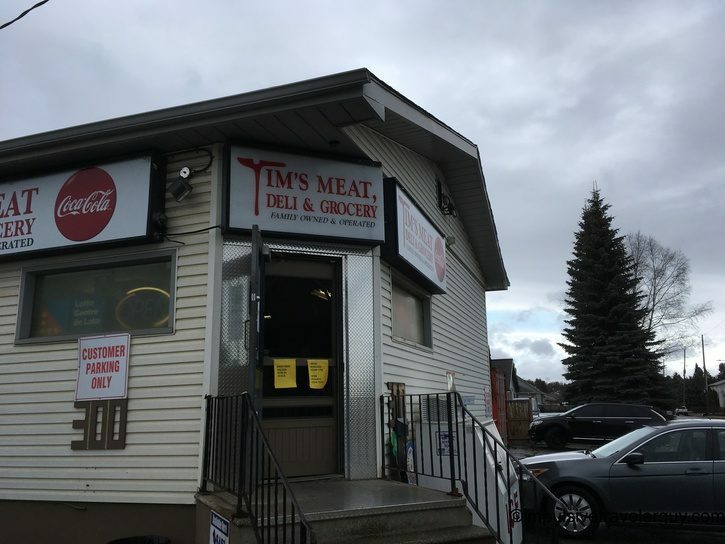 With my list of places to visit, I first hit up Tim’s Meats. Tim told me he was in the process of making a fresh batch for the smoker. The meat would smoke overnight and be fresh in the morning. He told me to come first thing in the morning, so I did. I got to try a bunch of different things. The pepperette I tried was like a piece of dried sausage’s texture. The taste itself had a strong smoke taste to it. When I say strong smoke taste, I mean the kind of BAM! Hit you in the face with its smoky goodness sort of taste. I loved the smoke flavor in this pepperette! This was the smokiest tasting pepperette I tired out of all the places. My next stop was Brent Park Store. I learned that Brent Park Store does not make its own pepperettes, but gets them from Wagener’s Meats. Wagener’s Meats is based out of the Toronto area. 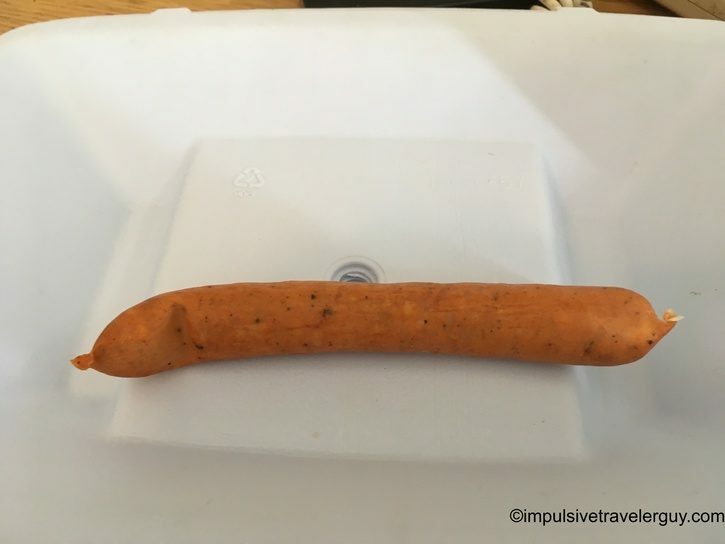 This pepperette reminded me a lot of a beef stick in Wisconsin in taste and texture. It was skinnier, a bit firmer, and had a mild smoke taste to it. 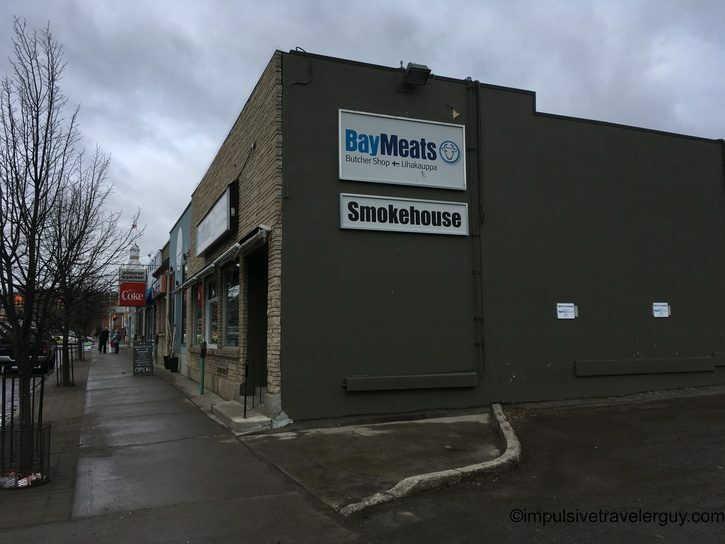 After Brent Park Store, I headed to Bay Meats. Bay Meats is a little less traditional in the way they make their pepperettes. They have a lot of different flavors, including spicy maple. 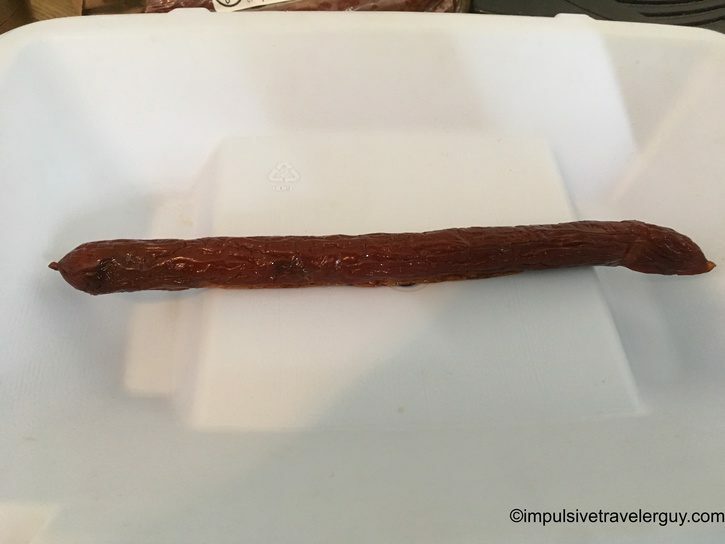 The spicy maple pepperette was just like a beef stick in shape and size. You could feel the maple oozing out of the pepperette the second you grabbed it. This pepperette first had an initial sweet taste to it and then a bit of a spicy aftertaste. It is a good combination of sweet and spicy! I also tried the Northern Logger pepperette. This pepperette is infused with Northern Logger Beer. Northern Logger is brewed by Sleeping Giant Brewing Company right out of Thunder Bay. The pepperette is a bit drier in texture. I’m assuming the alcohol in the beer dries the meat out a bit. While the alcohol is evaporated out and the meat is drier, the beer flavor remains in the meat. I got a taste of Northern Logger (which is a great beer, btw). The combination of meat and beer was one of the more unique things I have tried in terms of smoked meat. Bay Meats was in the rearview mirror and soon I was at European Meats. This pepperette had more of a summer sausage taste to it with a hint of smoke. The texture was pretty firm overall. 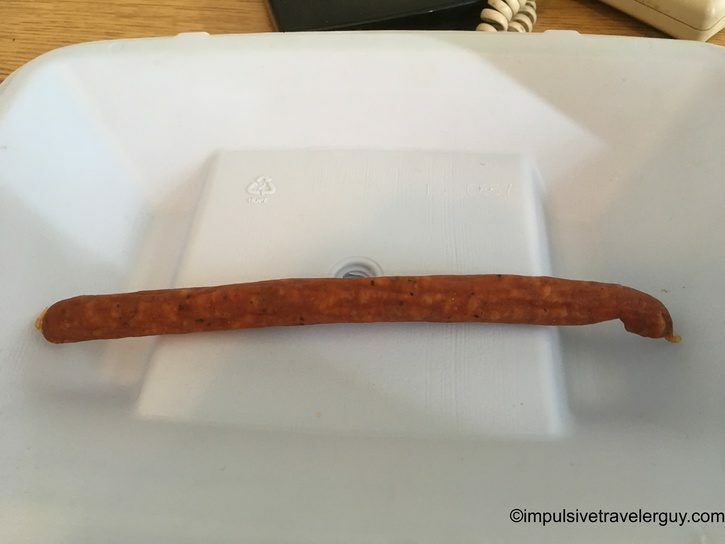 This also seemed a bit more like a standard beef stick in Wisconsin. Before you knew it, I was at The Commissary. Just like at Tim’s Meat, I was told that tomorrow would be a better day to visit for freshly smoked meat. I made sure to come back the next day, and when I walked in the place smelled great! I ended up trying a sausage on a bun, and of course a pepperette. 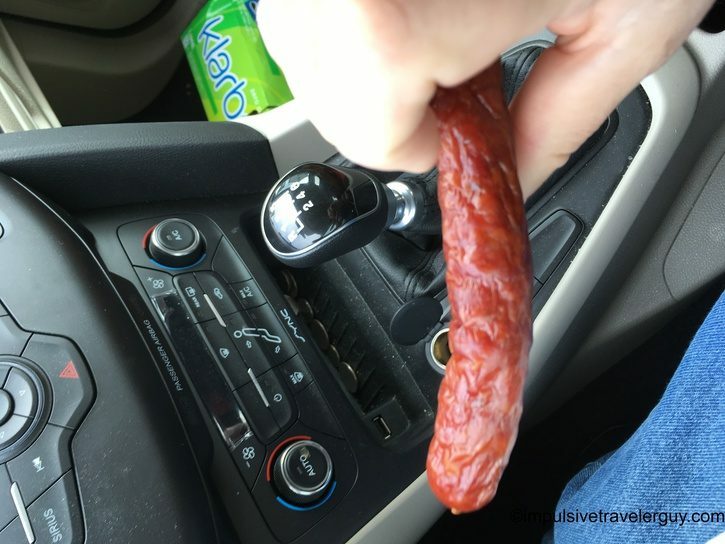 I ate the pepperette in the car and you could tell it was fresh. It had a medium firmness to it (not too soft, but not too hard). Being fresh, the pepperette was a bit juicy (just like the sausage on a bun). The smoke flavor was definitely there. 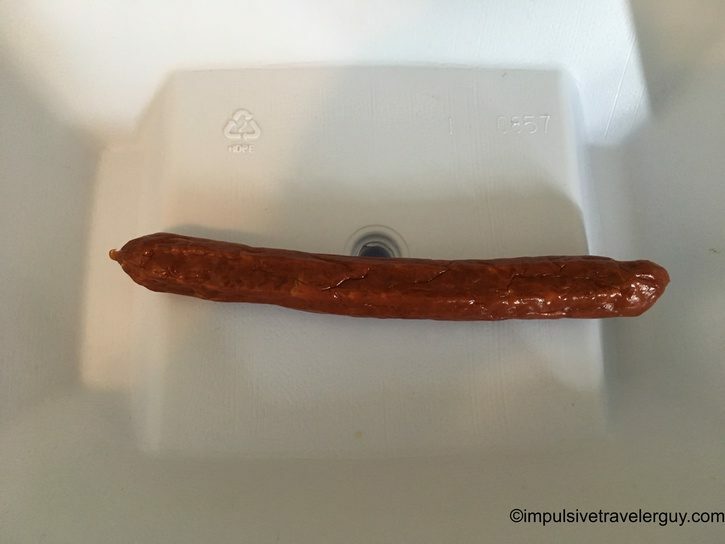 It had a way more uniquely defined flavor than some of the other beef stick tasting pepperettes I tried. 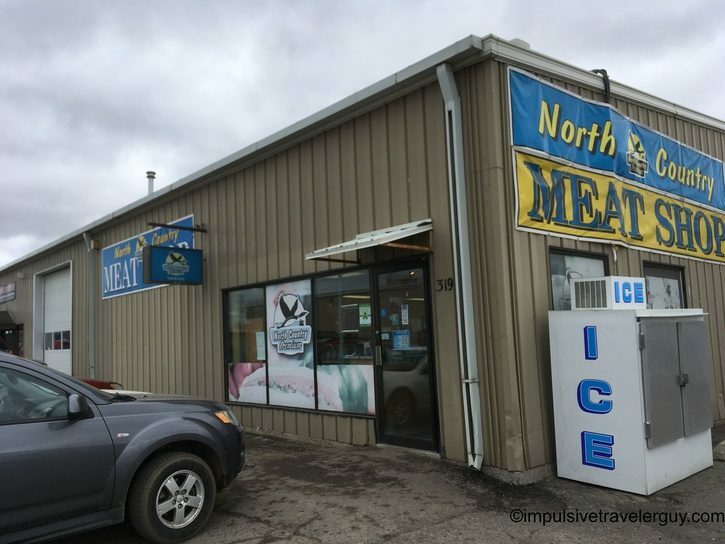 Another stop I had was North Country Meats. The pepperette I had was much drier and firmer. 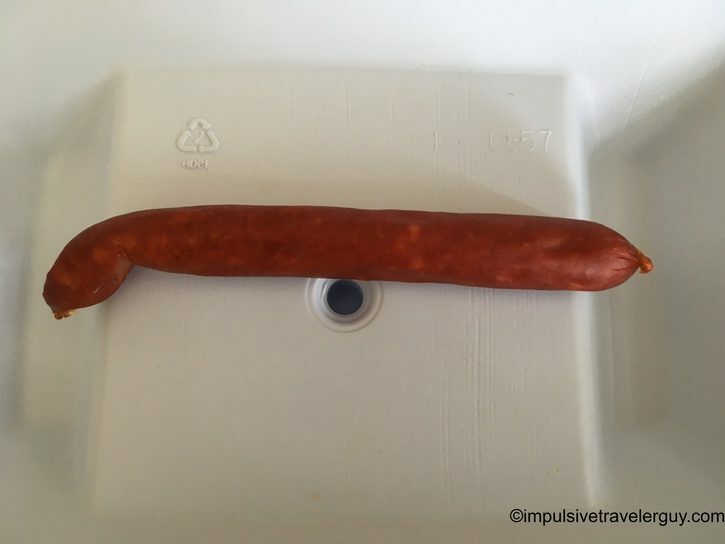 It was the most firm pepperette I had tried on this trip. Every once and a while it’s good to have a firm pepperette that you can really rip into, bite, and tear off a piece. That’s essentially what this pepperette was. The smoke taste was mild and it was a bit more beef stick tasting. Later, I was stopped at Bogdala’s. 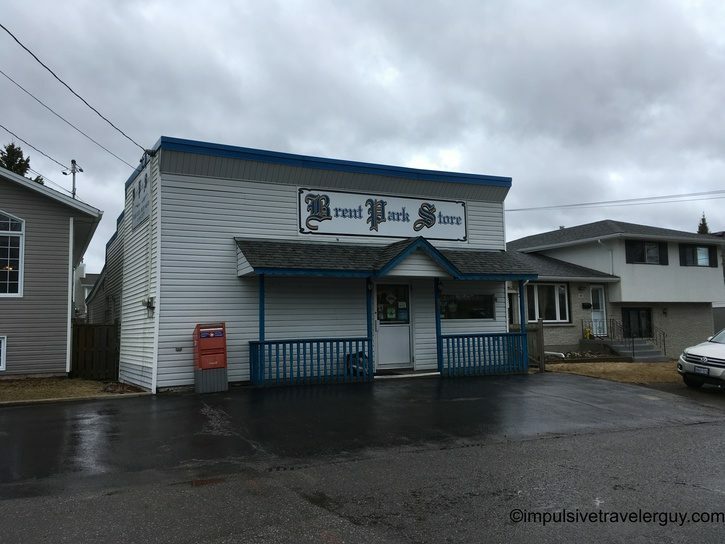 Bogdala’s is one of my regular Thunder Bay stops. I love their jerky and usually bring a bag home with me. This time I was there for pepperettes. Bogdala’s pepperette had a more unique texture. It reminded me more of a hot dog than an actual pepperette. It was much rounder and less firm. It had a slight smoke taste to it. I could easily see putting 2-3 of these on a bun and eating them like a hot dog. 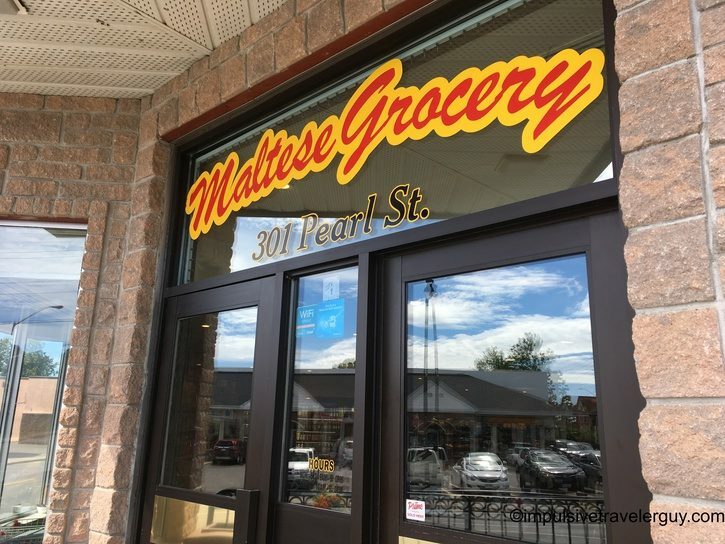 My final stop was Maltese Grocery. Maltese is also one of my regular stops every time I visit Thunder Bay. They carry a lot of good local products. 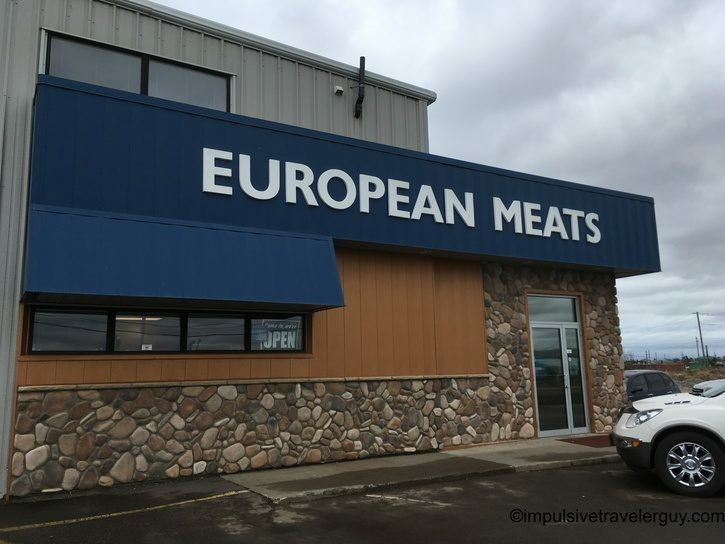 I learned they are also a full meat processing plant and make their own chicken pepperettes. The chicken pepperette was unique and I did not notice it at any other places. It had a much learner taste to it but still contained a good smoke flavor. The texture was a bit softer. Chicken is definitely much softer than the other meats. This is a good pepperette to eat if you’re looking for something on the lighter side. 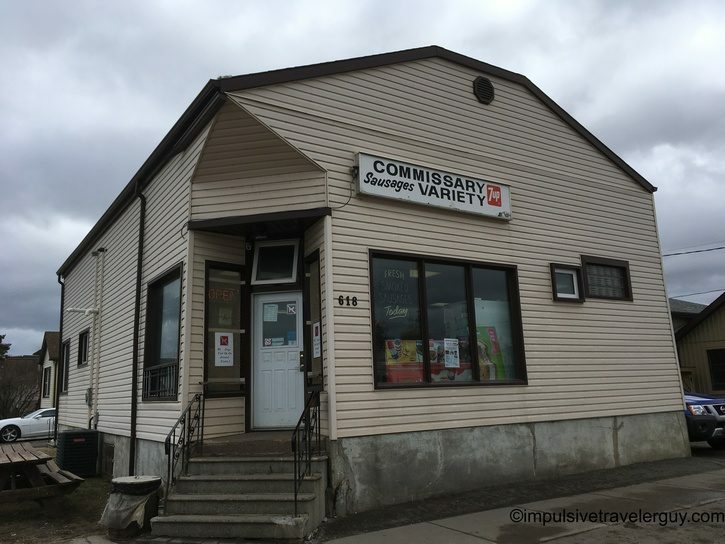 In my Canadian pepperette quest, I visited eight different places. I know there are plenty more places to visit next time I’m up. After trying these many places, I was completely stuffed. It was hard for me to eat more, no matter how hard I tried. I did try as hard as I could since all the pepperettes were so good! To be honest, I really didn’t even eat out anywhere during my three-day visit to Thunder Bay. I ended up living off pepperettes and other stuff I bought at the grocery stores. I didn’t know the border restrictions on bringing meat back to the US. I wanted to make sure as little of these pepperettes went to waste if for say some reason I couldn’t bring them back. I ended up not having any issues at the border. I was able to bring everything back. A week later, I’m still living off of pepperettes and other stuff I bought in Canada. Even with me eating the same things over and over again, I have yet to get sick of them. In many ways, it’s a great reminder of the awesome trip I had to Thunder Bay. 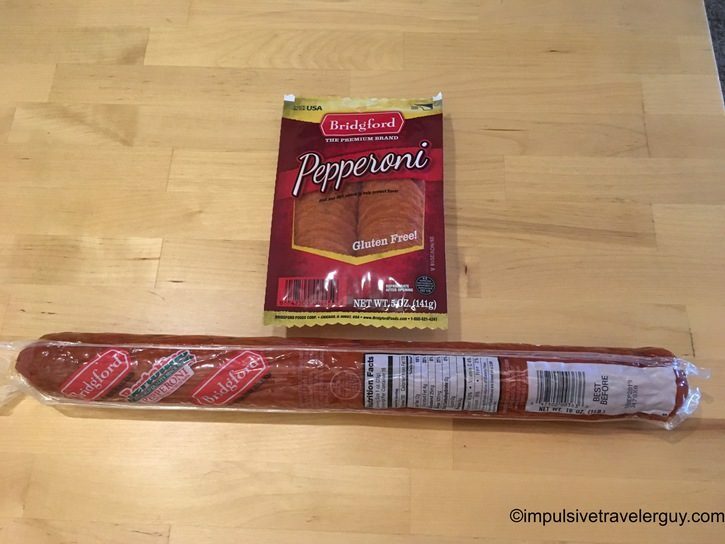 I have been asked by some of my readers on the difference between pepperoni sticks (pepperettes) and pepperoni logs. What I’ve gathered is it’s just the size. The sticks are long and skinny and the logs are long and fat. Same meat, same preparation, just different size. Another thing I have found is pepperettes are something you need to travel to eat. I was told that most places are provincially inspected by the Province of Ontario. It allows the product to be sold within Ontario, but not elsewhere. If they want to sell outside of Ontario or export to the US, they need to be (Canadian) federally inspected. From my understanding, this costs several hundreds of thousands of dollars to do. There are a lot stricter equipment requirements, which cost a lot of money to implement. In many cases, this is cost prohibitive for many of the small businesses I visited. That’s why you don’t see many pepperettes available to order on Amazon. For any meat place in Canada reading this, there is a huge opportunity to export pepperettes to the US. People are looking to order them online. It seems some people have traveled to Canada and found they like them. Others seem to want to emulate Ricky from Trailer Park Boys. Needless to say, if you are federally inspected (or want to be), there’s a market in the US for pepperettes. 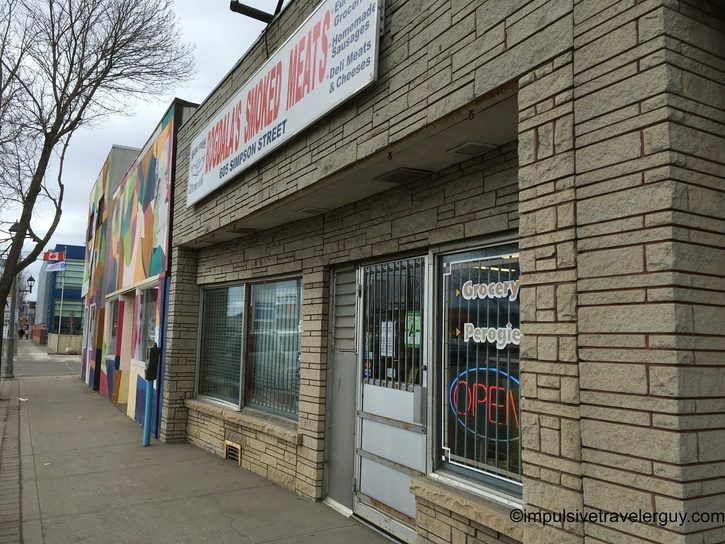 Thunder Bay is a hidden gem when it comes to smoked meat. I could tell that every place I visited takes pride in their craft. Hopefully, this encourages my American readers to visit the great city of Thunder Bay. My goal is to find some Canadian pepperettes sold in the US and expand the Tastes of My Travels page. I’m hoping to bring the pepperettes to you at home. For now, Thunder Bay is a great place to find them if you’re willing to travel.